i love these "little beasts" that are ready to guard any book you hold near and dear. 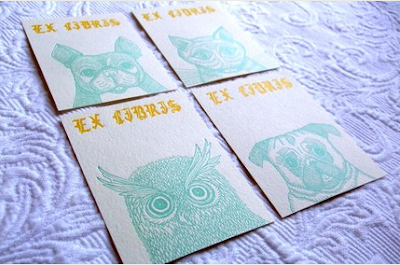 from sycamore street press located in ohio, these letterpress bookplates kinda want to start hanging out in my books. available in ssp's etsy shop.